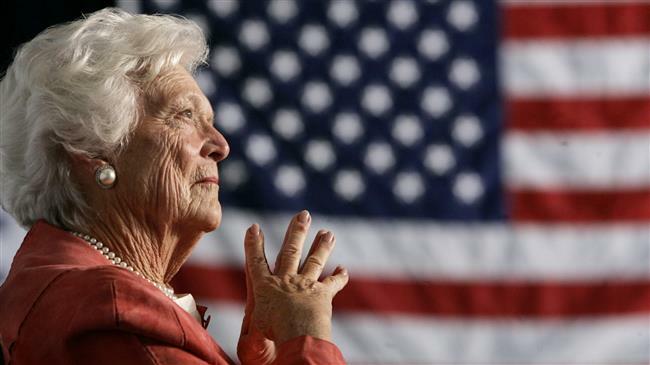 Former US first lady Barbara Bush, the only woman to see her husband and son both sworn in as president, has died at the age of 92. “A former First Lady of the United States of America and relentless proponent of family literacy, Barbara Pierce Bush passed away Tuesday, April 17, 2018 at the age of 92,” the Bush family said in a statement. She was the wife of the 41st US president, George H.W. Bush, and mother of the 43rd, George W. Bush. The former first lady was also the mother of Jeb Bush, who served as governor of Florida from 1999 to 2007 and unsuccessfully ran for the White House in 2016. She had been battling chronic obstructive pulmonary disease and congestive heart problems in recent years, according to some media reports. The US first lady, from 1989 to 1993, was a fierce advocate of civil rights and went against many of her husband’s Republican Party supporters with her liberal views. ‹ Cameroon team chief says he’s heard nothing from missing athletes	› Why are so many French speaking Cameroonians opposed to Southern Cameroons gaining its independence?